US President Donald Trump's reported reference to Haiti and African nations as "shitholes" has sparked global outrage. But was it racist? Charlton McIlwain, professor and dean at NYU, and Drew Liquerman of Republicans Overseas, offer contradicting opinions on the matter. Mr McIlwain: Yesterday, Donald Trump said African and Haitian immigrants hail from "shithole countries". A little black girl and child of Haitian immigrants I know overheard. Unprompted, and defiant she responded to her mother: "Donald Trump is a shithole!" The word itself was foreign to her, but she intuitively understood the words were derogatory, demeaning - racist. In Trump's words she recognised a constellation of associations and inferences that Trump drew on to make this so. A statement is racist when it explicitly denigrates and/or asserts as true a negative, longstanding stereotype about an entire group of people, signalled by the colour of their skin. "Shithole" fits the bill in the vilest way. Those who manage with a straight face to say Trump's words were not racist no doubt will point out that he did not specify that black people from these countries are shitholes. But, he did not have to. We have longstanding and differential associations between the colours white and black. For much of our recent history, white has always represented all that is pure, clean, desirable. These associations are found in the language of our dictionaries, the one-time definition of Africa as the "dark continent", and the way we demarcated slaves from non-slaves throughout the slave trade. These associations define our beauty standards, animated through film and television's past and present. And, these colour associations still dominate our perceptions of leadership, images of success and attributions of worth and value. Because of these longstanding and pervasive associations between black and white, Trump need only connect a few dots to express his racism. Denigrate immigrants from countries like Africa and Haiti as shitholes with no value, then specify their opposite - people from "Norway". Even a little girl can see what the primary difference is between the two. 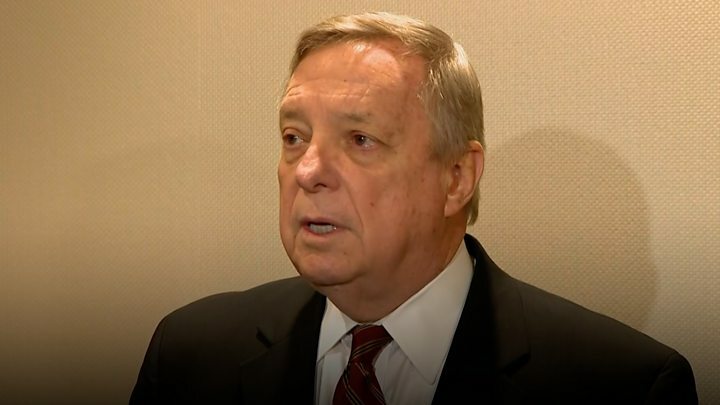 Media captionDick Durbin: "Trump said these hate-filled things, and he said them repeatedly"
Mr Liquerman: While elite Washington media and political class is outraged over President Trump's reported remarks on immigration, it's unclear what he actually said (the White House has disputed Senator Durbin's account). President Trump's alleged harsh characterisation of Haiti is certainly uncouth, but nothing suggests it's racist. Haiti is indisputably the poorest country in the Western Hemisphere and has serious disease and development problems, according to the WHO and UN. Those same organisations (and American leftists) consistently cite Norway as a prosperous, successful country. With that established, it's perfectly rational for any country - including the US - to prefer educated and high-skilled immigrants, and, unsurprisingly, those immigrants disproportionately come from wealthy, developed countries. If President Trump had suggested we turn away all Haitians - even the educated, high-skilled ones who would help our country and economy, as many immigrants from Haiti do - it would be a different story. But he has made clear that he wants help the economy by bringing in the best immigrants, wherever they may come from. Country of origin should neither make nor break anyone's immigration application, as there are high-skilled and talented citizens in every country who could contribute a lot to the US. But it's foolish to believe they are as prevalent in Haiti, where the literacy rate is around 60%, as they are in Norway, where the literacy rate is nearly 100%. Ultimately, this episode is a case study in Democrats' bad faith. 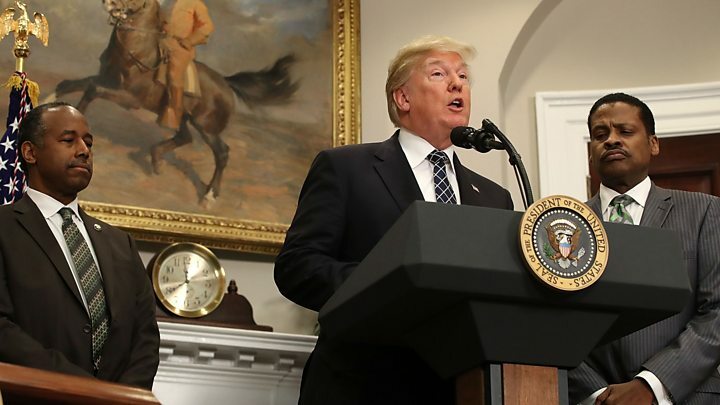 Thankfully, informed Americans are too smart to fall into this trap, the coming reforms to US immigration policy will reflect the views of the Trump administration, the GOP, and the American people, not Washington insiders.